Zena Maddison talks about her experience with Pimat and how it helped her with ME as well as others with other health problems such as back pain, shingles, asthma, arthritis and rheumatism, conception problems, children behaviour problems, PMT. What effect does Pimat have? Radionics is a method of distance healing, using specially designed instruments and the ESP factor, known as ‘the radiesthetic faculty’. As a science, it is concerned with the ‘energy patterns’ emitted by all forms of matter. Trained Radionics practitioners can discover the cause of illness or disease within any living body – human, animal, plant or the soil itself. Basic to radionic theory and practice is the concept that man together with all living forms is bathed in the electro-magnetic field of our planet; also that every living form has its own energy field (the aura); if this is disturbed or distorted, illness or disease will occur. Given that all life is energy or vibration, Radionics uses the particular vibrations of each organ, disease, remedy, expressed in numerical values known as ‘rates’, for diagnosis and treatment; their instruments are calibrated with such ‘rates’. In Radionic therapy, subtle energies are then made use of to heal or restore the patient by correcting the fundamental disharmony. Dowsing uses the same faculty of ESP, without the precise organisation of Radionics. Radionics was originated by the distinguished doctor, Albert Abrams of San Francisco, (1863-1924), one of the foremost neurologists of his day, described by Sir James Barr of the BMA as ‘by far the greatest genius the profession has produced for half a century’. He used percussion of a healthy person’s abdomen, connected by electric wiring to a drop of diseased blood or tissue, to discover the precise nature and location of the disease. He then progressed to using electrons, and to working out the actual resistance for various diseases. He later developed an ‘oscilloclast’ to treat the patient by means of vibrations. The most impressive of his successors was Ruth Drown, a chiropractor. She refined Abrams’ instruments, which enabled her to work out hundreds of diagnostic and treatment ‘rates’, still in use today; she was the first to use distant treatment. She was imprisoned in the US in the sixties because of her work, although even Jung supported the remarkable discoveries in Radionics. George de la Warr, a civil engineer, founded the Delawarr Oxford Laboratories in the 1940s and, with his wife Marjorie became the source of Radionics in the UK. George further developed the instruments with the use of a bar magnet, and a new variation, using sound waves. Marjorie’s intuition brought about the use of Radionics to detect poisons such as pesticides and to treat farm animals, crops and soils – highly valued by farmers. Also, based on Ruth Drown’s and George’s work, practitioners have been able to transmit and prepare simulations of homeopathic remedies. Malcolm Rae prepared a series of simulator cards, each one a geometric representation of a substance that can be used to prepare a homeopathic remedy. The relationship between Radionics and homeopathy, each working on an etheric level can readily be seen. Note: Radionics is sometimes known as Psychotronics. What is the link between Radionics, the aura and the energy regenerator? Ryszard Olszak, a Polish radiaesthetician, experimented for 5 years with the healing rays of the pyramid, seeking a two-dimensional way of making the same healing power available to a larger number of people. The aura is composed of all the colours of the spectrum, characterized by different wavelengths corresponding to colours, known as ‘radiaesthetic colours’. If one is ill or tired (off-colour! ), there will be colours missing or faded or holes in the aura. In 1991, Ryszard Olszack discovered, through Radionics, a pattern that generates an energy called neo-energy or the energy of shape. This produces all the colours of the spectrum and restores any that are missing. He called his invention the ‘PIMAT’ or Pyramid mat. Pimat is a white cotton cloth 7 inches square, with a pattern of ten red dots printed on it. When applied to the human sacrum, the energy produced by this pattern works on the aura during sleep, generating the whole spectrum of radiaesthetic colours needed by the body to stay healthy and restoring any that are missing or damaged. When the aura is restored, it re-energises and rebalances the body and allows it to start healing itself. That is why Pimat is called ‘the energy regenerator’. • the psychological – it has a positive effect on the mind and the nervous system. Pimat has a calming or energizing effect on the user, according to his/her need. As a result, users of Pimat notice a general improvement in their health, an increase of energy and a more positive state of mind. By using Pimat, many patients have experienced a surprising improvement in their state of health, and have even obtained complete freedom from pain in conditions as diverse as arthritis, asthma, bronchitis, rheumatism, menstrual and menopausal problems, headaches, migraine, psychological ailments, insomnia, back problems, shingles, M.E. and many more. The positive effects of Pimat can often be observed from the first day of use. Highly sensitive patients may notice an instant feeling of warmth in the lower back region, and an improvement in the quality of sleep. Rarely, a slight worsening of symptoms is experienced, which will disappear in 2 – 3 days and be followed by a period of rebalancing and improvement in health. In some cases, (e.g. sinusitis) it may take 10 days to 4 weeks before the effects of Pimat will be observed. Sufficient research has been carried out in Poland for the Polish Ministry of Health and the Institute of Hygiene to have recognized Pimat and authorized its sale in pharmacies. Pimat has been tested by the Psychotronics Institute of Poland and the Department of Agriculture of Warsaw University. The Institute of Hydrology and the Department of Microbiology in the Medical Faculty of Szczecin University have carried out interesting experiments with Pimat. Several medical departments in Polish hospitals have done likewise. Further, in Russia, the Military Medical Academy of St.Petersburg carried out research which resulted in the Russian Ministry of Health permitting doctors to prescribe Pimat in their practices. In 1991, the Biotronics and Electro-Photography Laboratory in Kielce, Poland, set up an experiment to measure the influence of Pimat on the human aura when applied to the sacrum. They photographed the subjects’ fingertips, using the “Kirlian effect”, at intervals of 90 minutes, while the Pimat was in place. The photographs show the results of the experiment on one subject. Note how the aura fills out with the passage of time that the subject spends lying on Pimat. No negative results were reported by any of the subjects, and the conclusion of the researchers was that Pimat is safe and has a benign effect on the human aura. Reports from Pimat users on the product’s therapeutic action gave rise to the hypothesis that it affects micro-organisms responsible for certain diseases. As a consequence, in 1992, the Microbiology Laboraratory of the Szczecin School of medicine decided to examine the effect of Pimat on the growth of selected bacterial and yeast strains. Statistical analysis of the results confirmed beyond any doubt that Pimat has an effect on the growth of these strains. They found that Staphylococcus aureus, Pseudomonas sp. and E.coli bred more slowly in the presence of Pimat, while the slowing of Bacillus s. and Candida sp. was not statistically significant. They also discovered that Pimat can help to intensify the cell’s defensive reaction against certain carcinogenic mutations. In 1992, Szczecin Technical University’s Department of Building and Architecture set up an experiment to test the effect of Pimat on tap water. Three weeks of extensive tests with controls showed that water stored on Pimat had greater viscosity, reduced concentrates of sulphate, nitrate and iron, and, in particular, a lowered level of bacteria: this means that Pimat may be used to make water safe for drinking. In 1993, radiestheticians in Szczecin testing the Pimat found that it emanated a dense pyramid of violet and ultra-violet colours, approximately 20cm high, surrounded by a weaker vapour of these colours. Also in 1993, a group of Bio-Energy Therapy and Radiaesthetic experts from the Polish Psychotronics Society investigated Pimat for three months. They tested Pimat by means of radiaesthetic measurement, as well as during regular use by patients according to the inventor’s instructions. Eight of these subjects were unaware that Pimat had been put in their beds; this was to eliminate auto-suggestion. They concluded that the inventor of Pimat made use of the shape-radiation phenomenon (well-known and extensively described in Radionics). “Pimat generates energy waves described as radiaesthetic colours, of a correct value to affect the human system favourably. The main colours emitted are positive green (purifying and tonifying), blue (analgesic and anti-inflammatory), orange (invigorating), red (stimulating) and indigo (tonifying nervous system). Pimat improves the user’s general sense of well-being by energizing, purifying and strengthening his/her system as well as by aiding in other beneficial processes, including regulating sleep and blood pressure, and alleviating backache, headache, muscle pains and neuralgia.” They granted Pimat a certificate as a safe and useful product. “Depression and chorea, severe insomnia, prickling sensation all over and problems with thinking and coordination. This 40-year-old woman patient slept normally the very first night after using Pimat. Her other symptoms disappeared in a few days. Arthritis – woman aged 80 suffering from pains and unable to leave bed. Her daughter placed a Pimat in her bed without telling her. Next morning she got up unaided and was able to walk. Sciatica – 35-year-old woman with radiating pains. After one night with Pimat, the pains subsided, to disappear completely in a few days. Hyperexcitability, sleep disorder, bedwetting. A 7-year old boy now calmer, sleeps soundly, bedwetting has become infrequent, since using Pimat. Chest carcinoma with metastasis – bone pains in entire leg. A male patient aged 50 found pains diminished and he felt better with Pimat. Addicted cigarette smoker with very poor circulation in legs; terrible pains made walking impossible. This male patient reported that after 12 days of using Pimat, the pains had subsided, he felt stronger and had regained the will to live. Group 1, of 20 patients,15 over 75 years old, all had compound fractures of thigh or tibia, and had been in traction. Group 2 was 15 patients suffering from gallbladder, biliary tract and pancreas-related conditions, all very ill , suffering acute pain, some with severe itching from jaundice. Group 3 was 15 patients with diseases causing severe pain – advanced stages of stomach cancer; colorectal or mammary carcinoma; some had metastases in bones, lungs and brain; 5 had spastic colons and recurring colon abscesses. Group 1 patients had considerably less pain in their fractured limbs, slept better and were calmer; within 3 days, they no longer asked for sleeping pills or painkillers. Group 2 patients, in severe pain, although continuing with analgesics, slept better, were calmer after only 5 days, and itching of jaundiced patients subsided. Group 3, the most seriously ill, demanded fewer or no analgesics, slept better and were more hopeful of improvement. Those with spastic colons and colon abscesses had normal stools and less pain. This research was carried out by the Neurological Department of the St.Petersburgh Military Medical Academy. The aim of the research was to assess the effectiveness of Pimat in clinical practice for people suffering from pain and nervous complaints. “103 people were used in this research (80 men and 23 women), aged between 28 and 56. 42 of them were suffering from acute lower-back pain and 61 were suffering from neurasthenia with sleep disturbance. All were tested before, during and after the research to assess their state of health and frame of mind. After 7 days of using Pimat, no adverse effects were observed. Some people noticed “a feeling of warmth” and “a pleasant pressure” in the lower-back region. Those suffering from lower-back pain experienced a reduction in pain after 4-5 days. By then, the spasms of the back muscles were too slight to be measurable. The neurasthenic sufferers slept normally, their sleep was longer and deeper and they woke up re-energized, after only 2 or 3 days with Pimat. At the start of the research programme, their self-assessment questionnaires showed that they felt low, with little activity or energy and quite a high level of anxiety. After using Pimat, the level of well-being and general energy was higher, there was no significant change in activity level and the anxiety level was measurably lower. “My 87-year-old mother was in a very poor state, spending 20 hours a day in bed, she could hardly walk at all and did not want to talk. Since I got her a Pimat (3 months ago) she has improved remarkably. She walks confidently with the aid of a zimmer, is up nearly all day and is willing to converse. She reads large print books, goes out in the car with my brother, takes a lively interest in everything – it’s like 10 years ago!” R.S., Sydenham. “Pimat has supported my daughter through a time of great emotional stress, back pain, PMT, acute period pain and severe catarrh.”J.R., Kent. “Thank you for Pimat. At 78, I didn’t expect my asthma and the quality of my life to improve to this extent. After years of disturbed nights, I now sleep like a log and wake refreshed and full of energy. Also, I am free of chest infections, which I used to get constantly all winter.” Y.S., Littlehampton. “My daughter had a serious accident 7 years ago, since when she has suffered from many problems, including multiple fractures and the loss of her period cycle. Since receiving her Pimat, she has had a regular 28-day cycle, which means she may be able to conceive. It seems like a miracle to us.” Mrs S.L., Whitley Bay. “My husband started to use his Pimat a week ago. He has got more energy and more interest in his garden than for a very long time. His black moods seem to have gone…he seems a different man. By the way, he is 81.” Mrs H.S., Rochester. “Since using Pimat, the quality of my sleep is really making a significant difference to my working day”. J.C., London. “I have used my Pimat for a month, and to say I am thrilled with the results is an understatement! Following a “brush with death”, caused by an unidentified virus, I have been suffering from a condition similar to M.E. Since starting to use the Pimat,I have slept like a baby, awakened with much more energy and, for the first time in ages, I feel well!” Mrs J.M.B., Milton Keynes. “After only 6 nights on Pimat my headaches have gone, my arthritic pains and depression are better.” K.M.K., London. “…terrible shingles. Within a week of getting Pimat, the dreadful nerve pains had gone and I was sleeping 8 hours a night. My general health has improved too. I am 72.” J.D., Hampshire. 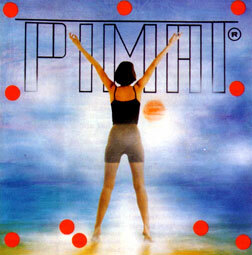 Pimat has been called ‘a magic mat’: its results do indeed seem miraculous at times. Nevertheless, it is based on scientific knowledge, however esoteric – Radionics has been hailed as ‘ the physics of tomorrow ‘. Even more important is the relief from many painful and difficult conditions, as well as the renewed energy and enthusiasm for life it provides in a simple, safe and inexpensive form. 2. Bloomfield B. Radionics (1984) published by The Information and Study Centre for Alternative Medicine Maidstone Kent. 3. Paper published by Janus Wilczewski,Engineer, of the Kielce Psychotronics Society, Division of Biotronics and Electrophotography (Poland) 1991. 4. Paper published by Danuta Miezinska, Microbiology Laboratory, Szczecin School of Medicine, Poland.(1992). 5. Report of research carried out by the Water Engineering Dept. of the Szczecin Technical University, led by Jacek Mazur, Ma.E.(1992). 6. Report by Gorzyslaw Poleszczuk, Doctor of engineering and professional radiesthetician, of research in the Dept of Genetics, Szczecin University (1993)..
7. Certification paper for Pimat from the Head Office of the Polish Psychotronics Society, Warsaw, signed by President Zofia Telesinska-Bratek MSc.(1993). 8. 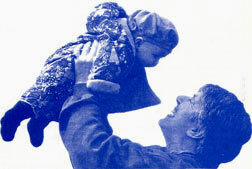 Research by Dr B.Pustkowska, Paediatrician and lung specialist, Poznan Hospital(1992). 9. Research by Ryszard Kaszmarek, Head Surgeon, Gryfin Hospital Szczecin (1993). 10. Report of research by M.B.Aleksandrov, Medical Consultant, Head of the Electro-Physiological Section of the Neurology Department, Military Medical Academy, St.Petersburgh, Russian Federation.(1994). Zena Maddison, MA (Oxon) formerly a teacher of English, Literacy and EFL and a trained counsellor, now devotes her time to healing and to promoting the Pimat for its healing qualities. For light relief, she works with the SEAL Committee (Society for Effective Affective Learning) for transforming teaching and learning, and runs her local ME Support group. She has six grandchildren.